Brussels sprouts are in season from September to March. Brussels sprouts are a good source of protein, iron, and potassium. High in Vitamin C, fiber, folate and antioxidants. Look for bright green Brussels sprouts that are firm and heavy for their size. The leaves should be tightly packed. Avoid Brussels sprouts with yellowing leaves, a sign of age, or black spots, which could indicate fungus. 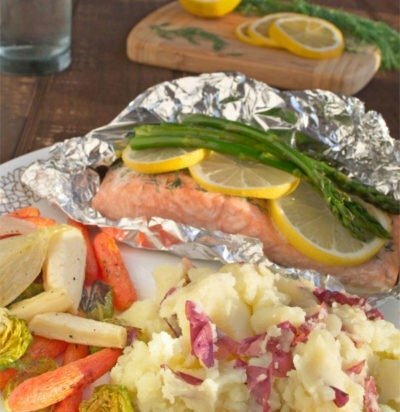 Store Brussels sprouts in a plastic bag in the crisper drawer of your refrigerator for up to one week. Sprouts still on the stalk will stay fresh longer than those sold individually. Rinse Brussels sprouts with cold water and drain. Trim ends and pull off any yellow outer leaves before cooking. 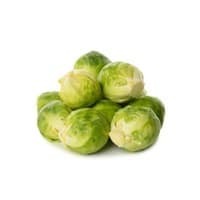 Brussels sprouts can be microwaves, steamed, sautéed, roasted or boiled. Brussels sprouts are closely related to cabbage, broccoli, and kale. Modern-day Brussels sprouts were embraced and widely cultivated in Belgium as early as the 16th century.